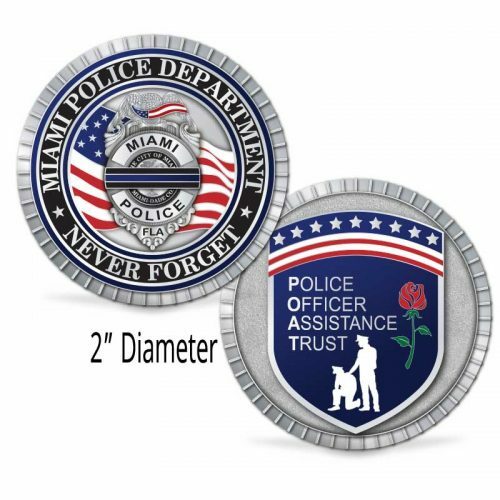 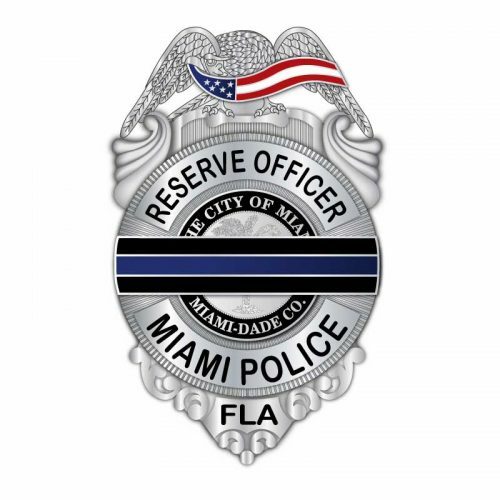 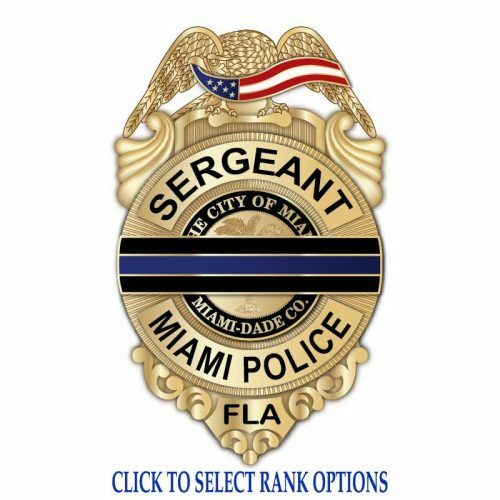 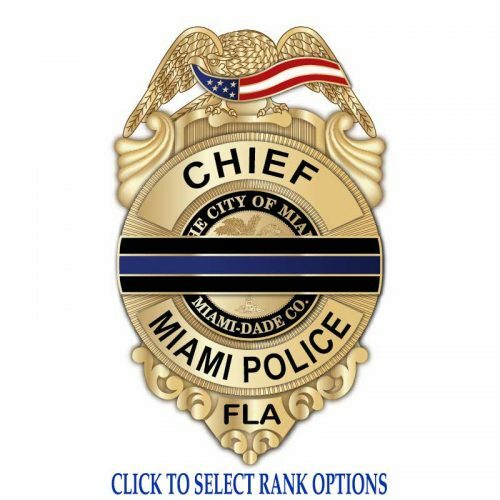 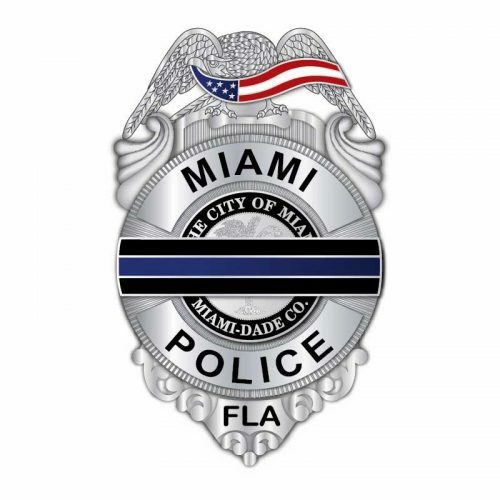 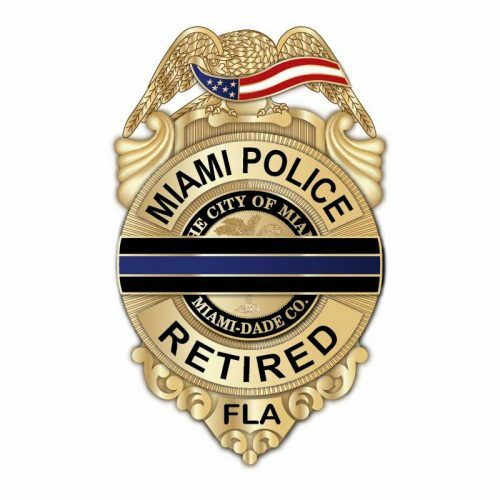 The Miami Police Department, Police Officer Assistance Trust Coin is a custom designed 2″ diameter coin with the Miami Police Department Name and 3D sculpted Memorial badge with an enameled American Flag Backdrop as well as a reminder that we will NEVER FORGET the sacrifices of fallen Officers on the front side. The back of the coin features the Police Officer Assistance Trust (POAT) logo. 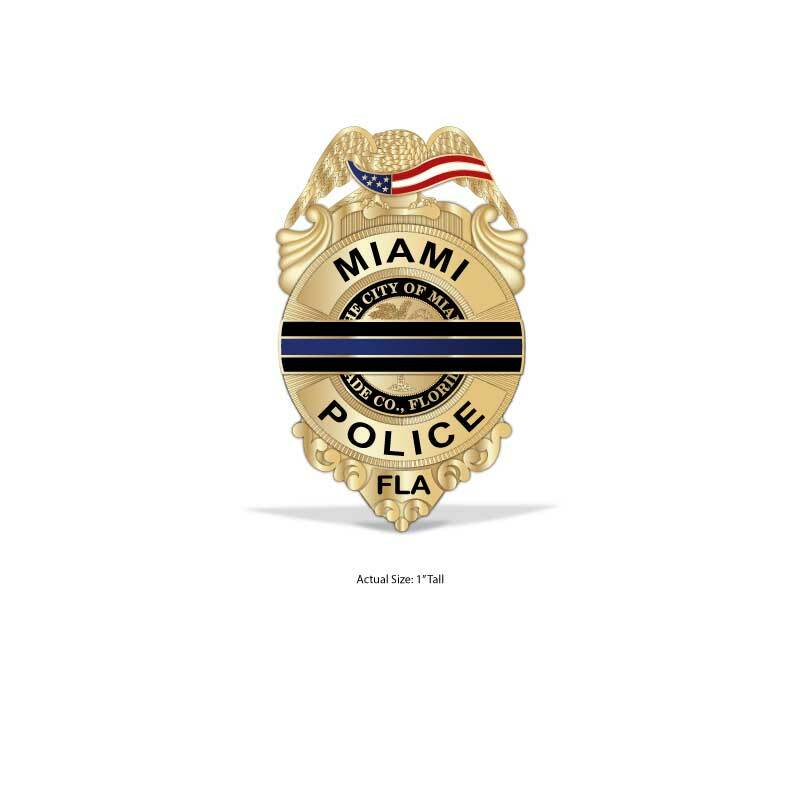 For every coin sold, $5.00 will be donated to the Police Officer Assistance Trust (POAT) – “Dedicated to the law enforcement community of Miami-Dade County by providing assistance to the officers and their families in the times of hardship and personal crisis”.